The Windermere, 57th and Ninth Avenue, New York, New York in the 1980s. In Europe, a building pretty much has to be from the 17th Century or earlier to be considered historically interesting. In New York City, however, a late-19th one will do. The Windermere located at 57th Street and Ninth Avenue is a prime example of how New York City, for better or worse, often refuses to let go of its past. Having found the above photo from the 1980s of The Windermere, I decided to dig into the building's subsequent fate. So, I did a comparison of The Windermere from the 1980s to 2018. The Windermere was built 1881 as an apartment building. The neighborhood was "hot" because IRT Ninth Avenue Elevated Line had just opened in the late 1870s, making the area easily accessible to downtown. The NY Times wrote a great review in April 1881 and described The Windermere as "first class in every particular." The hotel quickly filled up. While apparently not intended as such, The Windermere eventually became known as a haven for women artists and writers. The early 1890s was the age of the "New Woman," single ladies doin' it on their own with those newfangled secretarial jobs and the like. That may all sound quaint, but these single ladies needed somewhere to live, and the Windermere - which actually is an aggregation of three separate buildings - became their home of choice. This was partly the result of clever marketing by a superintendent named Henry Sterling Goodale. Well, time marches on, and by the late 1890s, The Windermere and its neighborhood were no longer quite as fashionable because the subway system had opened up newer and more desirable areas. An 1899 fire in the building didn't help The Windermere's reputation. The wealthier of the tenants began to move out, and Goodale left for Amherst, Massachusetts. During the first half of the 20th Century, The Windermere gradually became the home of struggling young actors and the like. Animator Max Fleischer, Steve McQueen, and Yaphet Kotto, for instance, lived there at one point. The Windermere circa 1940, when it was still in fairly good condition. 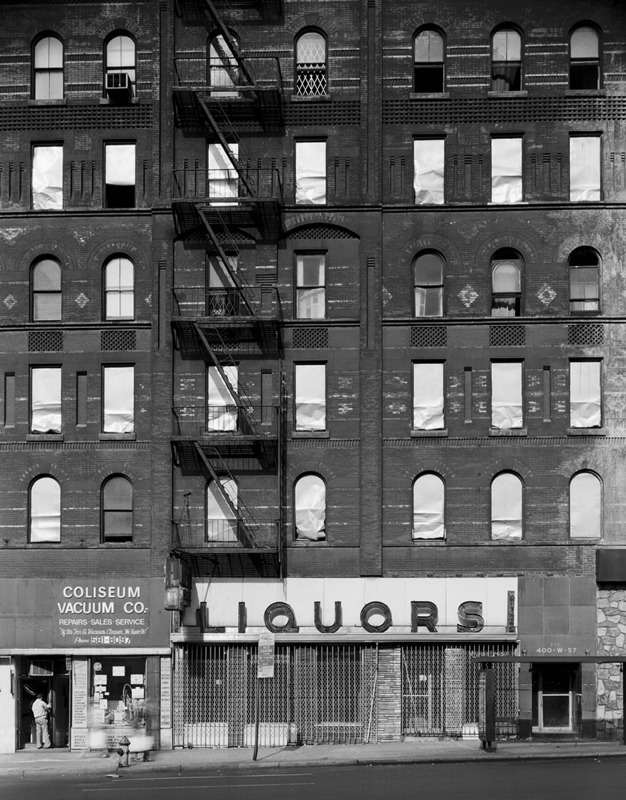 Part of the reason for its decline was the closure of the Elevated subway line on Ninth Avenue soon around the time this picture was taken, which seriously disrupted the neighborhood (The New York City Municipal Archives). 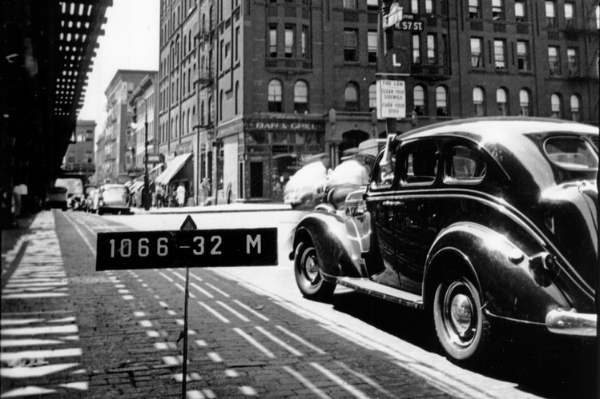 The neighborhood continued its decline, and the El, which had been one of the prime reasons for the area's development originally, shut down in June 1940. This reduced the area's attractiveness to renters greatly. By the 1960s, Hell's Kitchen was one of the more run-down sections of midtown. The building's clientele became poorer, so the large Victorian-era apartments were carved up into Single-Room-Occupancy (SRO) units which they could afford. By the 1980s, when the picture at the top of this article was taken, The Windermere was crumbling. While it may look deserted, it still had tenants. However, that was a time of rampant conversions to coops and condominiums, and the remaining tenants had become a problem and not a blessing to the landlord because they prevented a conversion. A building manager at the time, Jerome Garland, spent time in prison for threatening to kill tenants who didn't vacate their apartments. It was not a happy building, and the landlord allowed water damage to ruin the roof and floor framing. The masonry structure also fell into disrepair, a problem still being addressed. 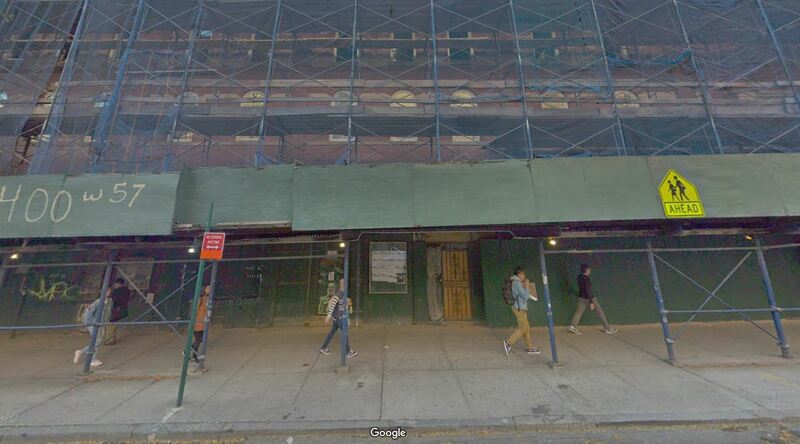 The New York Landmarks Conservancy finally put The Windermere on its Endangered Buildings list in 2005. The last tenants left in 2009. That led to a sequence of events that led to the building's restoration under new owner Mark Tress. This all coincided with a rebound in Hell's Kitchen into a fashionable place to live again, and apartments at The Windermere now are being rented again. It turns out that those large Victorian apartments are actually pretty cool with their unique touches, and the absence of the noisy and ugly El is now considered a plus and not a minus. Go figure. Anyway, thanks for stopping by this entry in my "the more things change, the more they stay the same" series. Hope you found it interesting. The Windermere on Google Street View. They are still working on restoring the building, but some apartments already are rented again.